Agreement to build a test facility for highly efficient and cost-effective energy storage. From left to right: Andre Thess, Head of the DLR Institute of Engineering Thermodynamics, Wolfram Ressel, Rector of the University of Stuttgart, Pascale Ehrenfreund, Chair of the DLR Executive Board, Oliver Kraft, KIT Vice President, and Thomas Wetzel, Head of KIT Institute of Thermal Process Engineering. Laughlin presents his heat storage concept in Stuttgart. 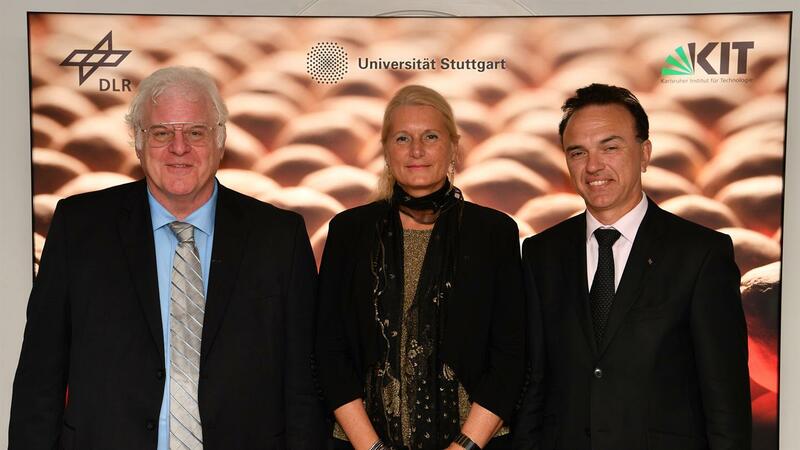 From left to right: Nobel Laureate Robert Laughlin, Pascale Ehrenfreund, Chair of the DLR Executive Board, Andre Thess, Head of the DLR Institute of Engineering Thermodynamics. Carnot batteries are deep-cycle power-to-heat-to-power storage for storing large volumes of electricity. In a sustainable energy system, energy storage systems are of vital importance for the integration of renewable energy sources. So far, however, there has been a lack of location-independent, cost-effective storage on a power plant scale. The German Aerospace Center (Deutsches Zentrum für Luft- und Raumfahrt; DLR), the University of Stuttgart and the Karlsruhe Institute of Technology (KIT) are planning to construct the joint research facility NADINE (National Demonstrator for Isentropic Energy Storage) at the sites in Stuttgart and Karlsruhe, with the aim of developing cost-effective and virtually loss-less energy storage systems. 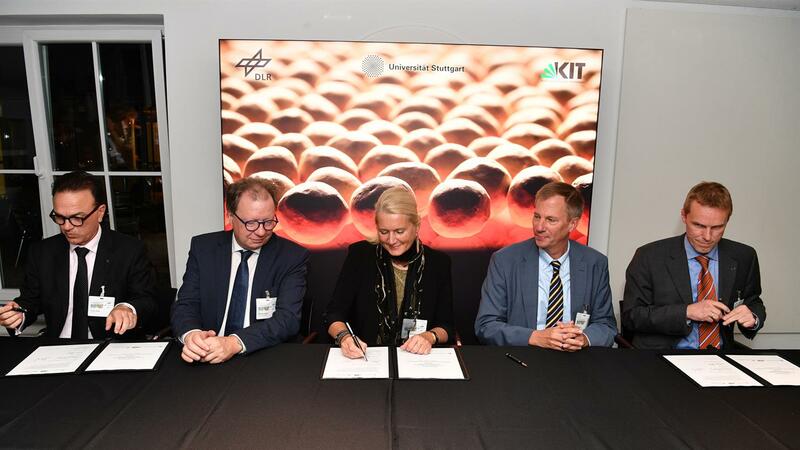 On 8 October 2018 the three research institutions signed an agreement on working together to create the infrastructure in Stuttgart and Karlsruhe. The aim of the research is energy storage that can absorb and release large amounts of electrical energy. The design of the research facility is being developed as part of an 18-month project that began on 1 January 2018. The design project is being funded by the German Federal Ministry for Economic Affairs and Energy and the Ministry of Economics, Labor and Housing in Baden-Württemberg. "The Energy Transition is one of the most pressing challenges faced by society. With the development of storage as part of its energy research, DLR is working on solutions to one of the key issues in this field. Efficient storage can ensure a reliable energy supply with an ever-increasing share of renewable energies. Furthermore, large heat storage units can also help to reduce carbon dioxide emissions from coal-fired power plants worldwide by converting them into power plants with heat storage," said Pascale Ehrenfreund, Chair of the DLR Executive Board. "Major societal challenges such as the Energy Transition can only be addressed by pooling efforts and working closely together," says Oliver Kraft, Vice-President for Research at KIT. “I am therefore delighted that we at NADINE can contribute our expertise in the field of liquid metal technologies. Together with our partners, we will make a decisive contribution to the development of the urgently needed energy storage facilities on a power plant scale." Energy storage on a gigawatt-hour scale is already possible in principle through the use of pumped hydroelectric energy storage and battery storage. However, hardly any more pumped-storage hydroelectric power plants can be built in Germany, while battery storage is currently too expensive and not sufficiently long-lasting on this scale. The concept behind NADINE is to develop versatile and almost loss-less energy storage, known as isentropic storage. A process is isentropic if it takes place in a closed system in which there is no exchange of heat or matter with the environment. At the heart of the research activities are Carnot batteries, also known as power-to-heat-to-power storage. In this case, power is converted into heat by high-temperature heat pumps, whereupon the heat is stored inexpensively and can be reconverted through a thermal power process if required. Through their research, the scientists involved in NADINE want to demonstrate in the long term that Carnot batteries can store electricity with an efficiency of up to 70 percent. 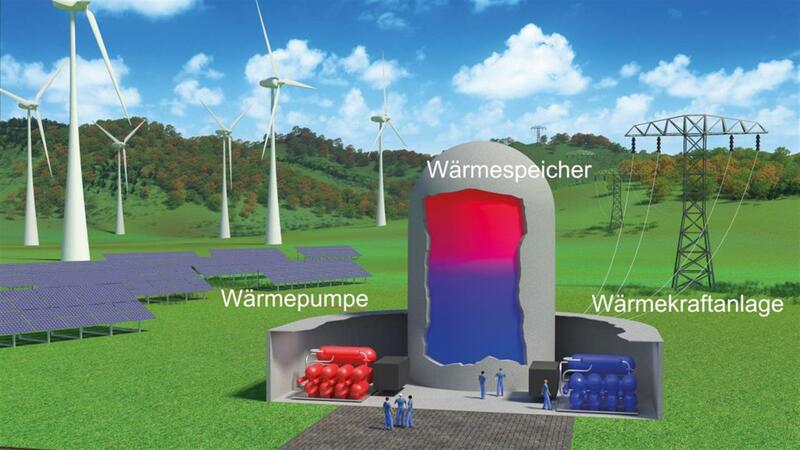 Heat pump and heat storage technology can also play a role in converting coal-fired power plants into power plants with thermal storage, as the German government envisaged in its coalition agreement on climate protection. "The planned NADINE research facility will provide an ideal basis for developing location-independent, low-cost storage on a power plant scale," says Professor Thess, NADINE Coordinator and Director of the DLR Institute of Engineering Thermodynamics, setting out the project. In the laboratories, heat sinks and sources are provided by a so-called 'heat platform' on which individual components and even complete isentropic energy systems can be researched, in a similar way to a wind tunnel. This allows the researchers to study how the different storage systems have to be designed, which materials are suitable, and how the individual components interact best with one another, to give but a few examples. Plans include a low-temperature and high-temperature laboratory in Stuttgart and a maximum-temperature laboratory in Karlsruhe, in which liquid metals can be studied at temperatures of over 900 degrees Celsius. 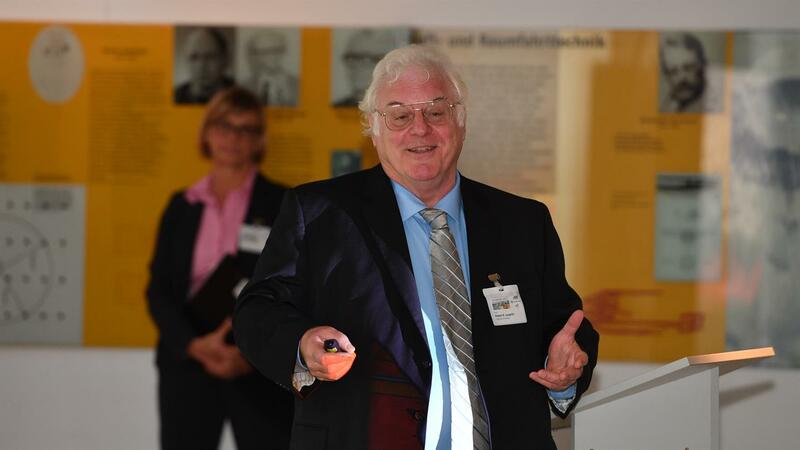 On 8 October 2018, Physics Nobel Prize Robert Laughlin of Stanford University, who initiated the Google X MALTA storage project gave an evening lecture entitled 'Can heat save us?' to mark the signing of the NADINE Memorandum of Understanding. In his visionary book on energy: Powering the future – How we will (eventually) solve the energy crisis and fuel the civilisation of tomorrow, Laughlin makes the case for heat-based energy storage of the kind that will be studied by NADINE. "We are delighted to have Bob Laughlin as a guest speaker at our international workshop on Carnot batteries on 9 October, which aims to raise awareness about the importance of heat storage in energy research," says Andre Thess.